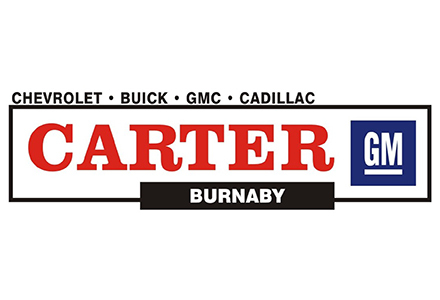 At Carter, serving Burnaby, Vancouver, Richmond, New Westminister, Coquitlam, Port Coquitlam, Port Moody, Maple Ridge, Haney, Surrey and the rest of B.C., we don’t just sell new Cadillac, Buick, Chevrolet and GMC models such as the Cruze, Sierra 1500, CTS, ATS, Trax, Regal and Equinox…We don’t just offer a fantastic selection of used cars… And we certainly don’t just offer high-caliber Cadillac, Buick, Chevrolet and GMC service. Rather, at Carter GM, we take the time to get to know each and every driver we meet. It doesn’t matter if you’re from Vancouver, Richmond or Surrey; we get to know your driving style, needs, desires and maintenance habits. Carter Burnaby is a proud supplier to AutoMind Collision.